Looking for Route 66 Tulsa RV parks in Oklahoma while traveling through? We are conveniently located in Sapulpa Oklahoma, at the northern edge of the city. Route 66 Tulsa RV Park is in Oklahoma and is situated directly on Historic Route 66, just minutes outside of Tulsa and the surrounding metro cities. The Turner Turnpike I-44 exit is less than .25 of a mile from our entrance. Route 66 Tulsa RV Park in Oklahoma is a small, comfortable and inviting setting that consists of 34 sites and one apartment. All of our roads and pads are paved. 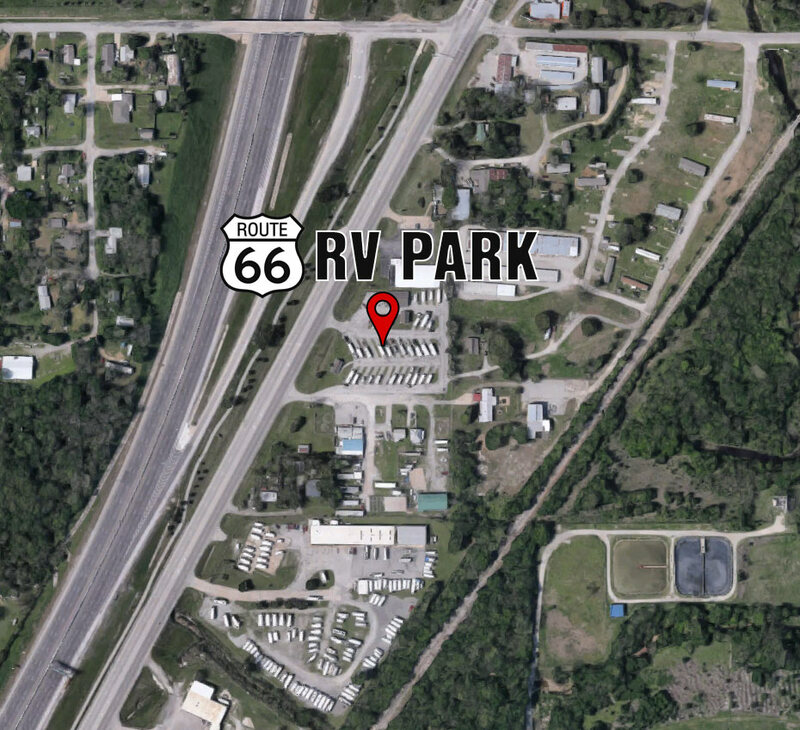 Our Tulsa RV park is proud to always offer clean showers, restrooms, and laundry facilities. Each RV site has full hookups with both 30 & 50 amp service, water, sewer, and cable TV. Additionally, Route 66 Tulsa RV Park rates are more economical than those in the city of Tulsa. Stop by today and see what a comfortable Tulsa RV Park stay we can offer for your travels at one of the top Tulsa RV Parks on Route 66. Click here for directions to Route 66 Tulsa RV Park. Route 66 RV Park is located in Sapulpa OK along historic Route 66. We offer Tulsa RV Parks Extended Camping as well as and Overnight Camping. Conveniently situated a quarter mile from the I-44 Turner Turnpike exit. Also easily accessible is Holly Refinery, Riverspirit Casino & Tulsa Welding School from our RV park.